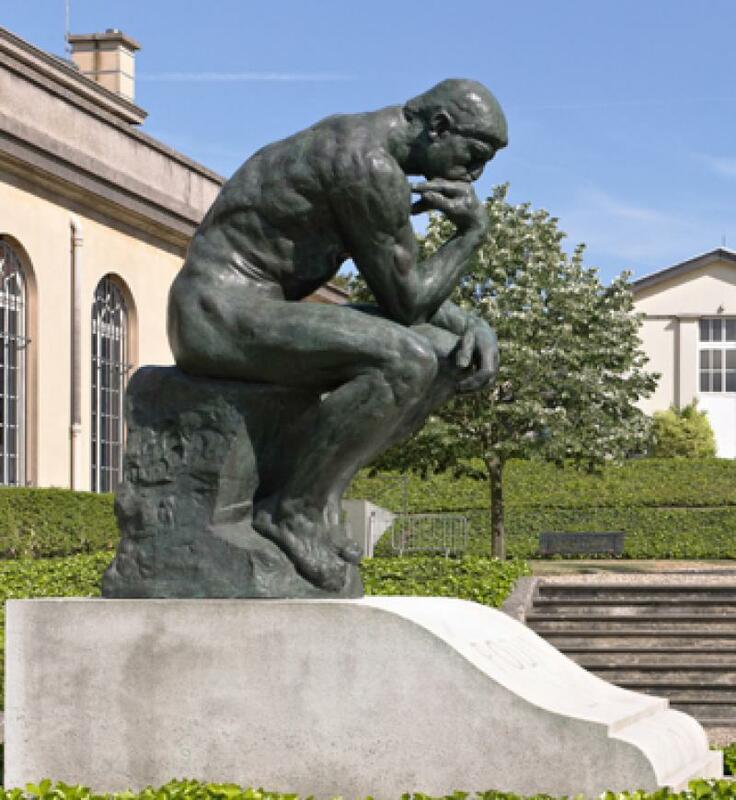 Whether Rodin’s sculpture of “The Thinker” was generic or not, it was a perfect complement to Rene Descartes’ life, legacy and accomplishments. There is an old joke that pokes fun at Paris’ “Left-Bank” existentialists like Jean Paul Sartre. Sartre was enjoying a cup of espresso at a sidewalk café when the waiter asked him if he would like a refill. Sartre responded, “I think not” and he disappeared! Of all the scientists, saints, poets and philosophers we studied in the Biodesign Class, Rene Descartes was truly one of my favorites. My admiration for him is not only rooted in what he believed and accomplished, but his revolutionary approach to education. His passion for learning inspired me to press on and collaborate with students in pioneering a one-of-a-kind Biodesign program. Through the daunting process of reeducation, Descartes became a world-famous mathematician, scientist and philosopher. He was arguably the first major philosopher in the modern era to make a serious effort to defeat skepticism. 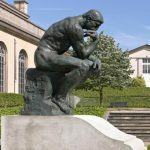 His views about knowledge and certainty, as well as his views about the relationship between mind and body have been very influential over the last three centuries. He began by questioning his own existence and concluded: “Cogito ergo sum, I think therefore I am.” From that beginning, he went on to reason that art can never exceed the skill of the artist and that the creation cannot be more intelligent than the creator, therefore there must be a more intelligent being than he. Descartes’ work provided the basis for the calculus developed by Newton and Leibniz, who applied infinitesimal calculus to the tangent line problem, thus permitting the evolution of that branch of modern mathematics. His rule of signs is also a commonly used method to determine the number of positive and negative roots of a polynomial. Descartes also wrote a response to external world skepticism. He argued that sensory perceptions came to him involuntarily, and are not willed by him. They were external to his senses, and evidence of the existence of something outside of his mind, and thus, an external world. He went on to show that the things in the external world are material by arguing that God would not deceive him as to the ideas that are being transmitted, and that God has given him the “propensity” to believe that such ideas are caused by material things. He gave reasons for thinking that waking thoughts are distinguishable from dreams, and that one’s mind could not have been “hijacked” by an evil demon placing an illusory external world before one’s senses. Albert Einstein wrote that it is not the immensity of the universe that should command our wonder, but the human brain that can begin to contemplate the immense universe. In a similar manner, the purpose of studying Rene Descartes was not to inject religion into an advanced biology class, but to consider the thoughts and discoveries of one of the world’s greatest mathematicians, thinkers and philosophers and how he arrived at them. Descartes’ discoveries helped enable Isaac Newton to establish the foundation for modern physics. Einstein regarded Newton as the greatest scientist of all: ergo Descartes was a pivotal player in the evolution of Western Civilization. The two operative words were “evolving” and “creation.” Although beautifully written, Teale presented me with the dilemma of how to introduce public high school students to Muir’s philosophy without violating the spirit of the law separating church and state. The emerging class embraced the freedom to discuss all things biological, which included a thoughtful, unbiased, approach to the great evolution debate. In a wonderfully ironic twist, a partial solution to our dilemma came from ancient China. The Chinese yin-yang philosophy describes how seemingly opposite or contrary forces may actually be complementary, interconnected, and interdependent in the natural world, and how they may give rise to each other as they interrelate to one another. Yin-yang philosophy can be applied to the great debate of creationism vs. Darwin’s theory of evolution. The Universe, including all forms of life, is in a constant process of evolving, yet everything that evolves had to be created. Although most students grasped the yin-yang concept, understandably, many had difficulty visualizing any possible physical—spiritual interaction. Most were not satisfied with the current scientific explanation of evolution being the result of random chance and competition. In a perfectly timed synchronicity, while one class was pondering the Muir—Darwin dichotomy, S.F. Chronicle legendary columnist, Art Hoppe, wrote the following column. Excerpt: Biodesign Out For A Walk, Chap. 11, Matthew. The Landlord’s Slime. Scene: The Heavenly Real Estate Office. The Landlord, humming to himself, is craning forward to hang a mediocre-sized galaxy of a hundred billion suns on the far edge of the cosmos. His business agent, Mr. Gabriel, enters, golden trumpet in hand. Gabriel: Excuse me, sir. A noisy debate’s broken out on that planet Earth. The tenants are fighting over how the place was made. Landlord: (frowning) Earth? Let’s see … Is that the one I patched together out of drifting stardust, rainbow wisps, and a few million snatches of birdsong? Gabriel: No, that was Arcturus 4673-a. What do the tenants say? Gabriel: Well, the fundamentalists say that you created the whole shebang in six days with sort of a wave of your hand. Landlord: (nodding) Yes, yes, I could have done it that way. Gabriel: But the scientists claim that it evolved over 4 billion years. Landlord: Six days? Four billion years? What’s the difference, Gabriel? Gabriel: That’s easy for you to say, sir; you’re not in a hurry. But to their finite little minds, it’s an eternity. Landlord: How do the scientists think life began? 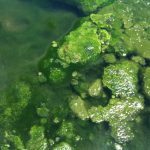 Gabriel: The scientists say it could have started when some free- floating chemicals, perhaps in a tide pool, were zapped by a bolt of lightning. Landlord: Ah! That sounds like me. Gabriel: This created microscopic one-celled life-forms, which soon evolved into a thimbleful of green slime. Really, sir, why would you create green slime? It sounds sacrilegious. Landlord: If it’s my green slime, it’s divine green slime. Gabriel: Yes, sir. Anyway, you apparently told the green slime to go forth and multiply. 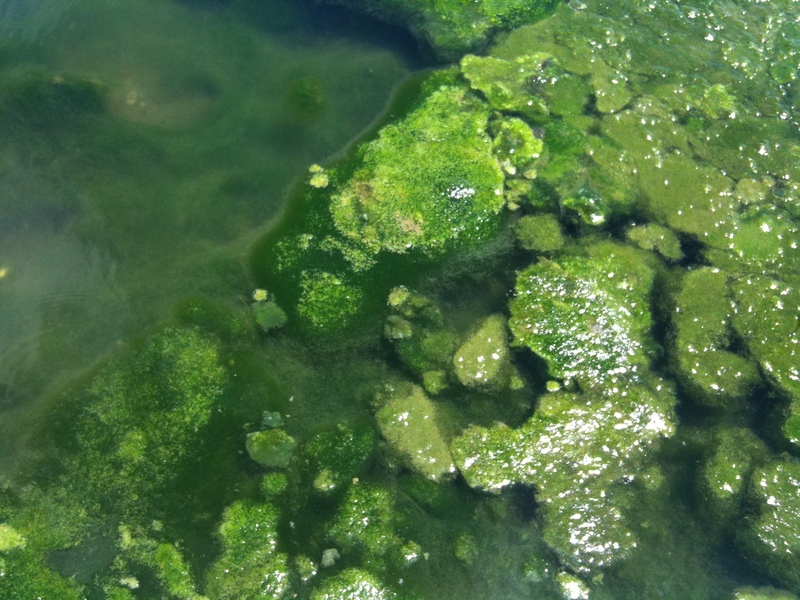 Landlord: “Go forth and multiply, green slime!” I like the ring to that. Gabriel: Well, it certainly did multiply. 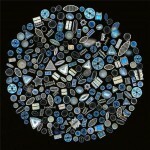 According to the scientists, it multiplied into paramecia and sea worms and oysters and fish and great whales. Gabriel: And at long last, the scientists say, the fish crawled up on the land to become the fowl of the air and the beasts of the field. Landlord: (thoughtfully) Perhaps I should have stopped there. Gabriel: … in the end became man. Landlord: What a lovely, lovely story, Gabriel. When I think of all the fish of the sea, the beasts of the land, the fowl of the air in all their shapes so singular and strange, in all their myriad colors, dappled and striped and iridescent, swimming and slithering and soaring … All this emerging from a thimbleful of green slime! I … What was that argument about again, Gabriel? Gabriel: Basically, sir, it’s over whether children in school should be taught to believe in cold, scientific facts or you—ordained miracles. Landlord: I know that, Gabriel (frowning), but what’s the difference? Hoppe’s column was a brilliant allegory, which arrived at a perfect time. He not only used satire to illuminate the absurdity of the debate, but his “Landlord” aligned with Muir’s philosophy. I firmly believe that the column should be shared with every high school and university biology student. The recent fires throughout Napa and Sonoma Counties qualify as Ill Winds. It is common practice for California Dept. of Forestry officials to name fires by their place of origin. 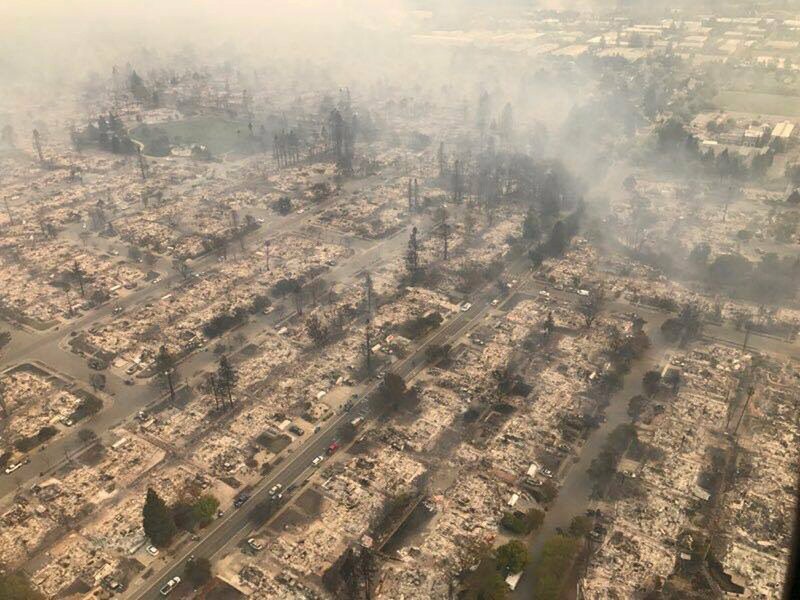 Ergo, the fire that destroyed over 3,500 Santa Rosa homes and businesses began near Tubbs Lane in Calistoga. However, it quickly exploded into a firestorm driven by a 70 mph “Diablo Wind.” The name of the wind could not be more perfect: Devil’s Wind. Devil Winds are atypical winds that result when high-pressure builds over the Nevada desert and causes air to move toward a low-pressure zone over the Pacific Ocean. As the wind rushes down the western Sierra Nevada slope, it is compressed and gets hotter, drier and faster. This condition is the opposite of prevailing westerly winds that typically blow moist, ocean-cooled air over hotter California climes. 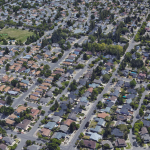 Diablo Winds typically occur in the summertime when the combination of higher heat, higher wind velocity and extremely low humidity create a potentially disastrous formula for wildfires in California. In SoCal they are known as the Santa Ana winds. 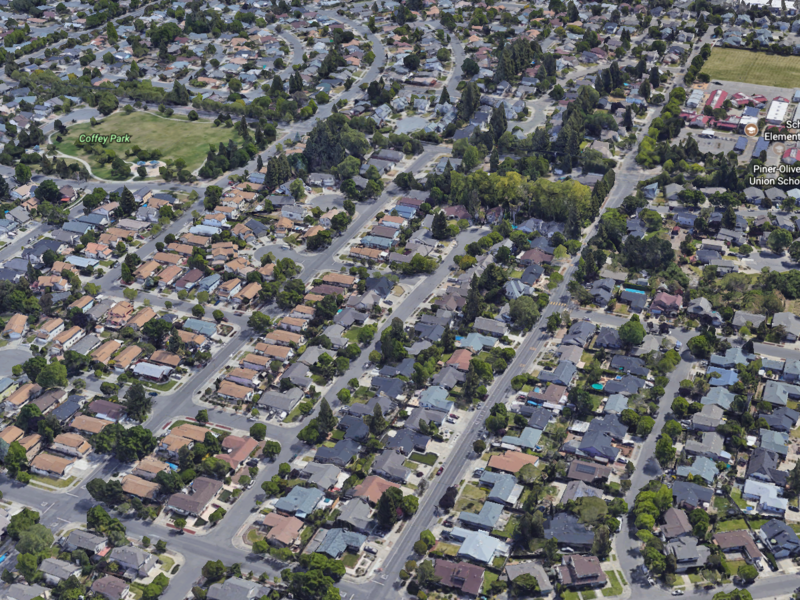 The Tubbs Firestorm destroyed a several-mile-wide swath, devouring forests, vineyards, homes and ranches on its 15-mile rampage to the north edge of the city of Santa Rosa. Reaching the northeast outskirts of the city, it mysteriously veered south in a fiery inferno that consumed over 2,500 homes. Many residents had to flee with only the clothes they were wearing. The fire is still active and along with several other fires in Sonoma County, the number of homes, structures and businesses destroyed has exceeded 3,500. It has the potential of being the worst wildfire in California history. Although Sonoma County lies west of Napa County, Napa Valley has been covered in a thick blanket of smoke since Sunday night. 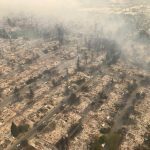 The smoke has been bothersome, but a trifling inconvenience compared to the total devastation that 1,000s of Sonoma residents and business owners are struggling to cope with. This all changed Wednesday. We thought we were safe until a spot-fire erupted 8 miles west of us, near the junction of St. Helena and Calistoga roads. It was headed in our direction and posed a threat to our home and the town of St. Helena. I drove 4 miles to the top of Spring Mt. Rd. where a Napa Co. Sheriff deputy had blocked the road. He described the fire and said that it was rapidly approaching upslope. He went on to say that pilots were desperately trying to suppress it with fire-retardant, but if they failed he would have to close Spring Mt. Rd. He didn’t have to tell me that if the fire crested over the ridge, its downslope path led directly to our home and the heart of St. Helena. I was confident that if this happened we could pack up prized possessions and evacuate to our daughter’s home in Tiburon. My wife was not convinced and so we packed up and fled, not knowing if we would ever see our beloved home again. Although our Tiburon family welcomed us warmly, the night was long and sleep was interrupted with images of our house going up in flames. Finally, morning arrived and we were able to call our neighbor, who opted to wait for the mandatory evacuation order. It never came. Evidently, the amazing pilots were able to stop the blaze on the Sonoma side of Spring Mountain and possibly save our home and the town of St. Helena. The horrific event has created a schizophrenic dilemma. Of course we are grateful that our home was not destroyed, but heartsick over the misery and trauma that so many have been forced to deal with. 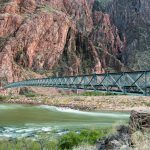 Fifteen Biodesign Classes were blessed with the privilege of walking across the “Silver Bridge,” which connects Grand Canyon’s South Rim to Phantom Ranch. They enjoyed watching the Colorado River flow beneath the grated deck they were walking on. The same cannot be said about mules. 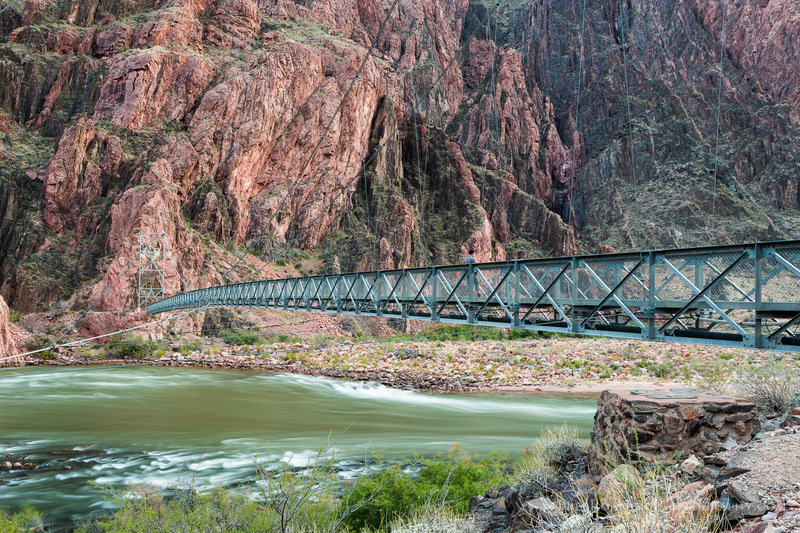 Mules refuse to cross the bridge because the flowing river below spooks them. People may scoff at their behavior until they realize that they are just as prone to be spooked by spiritual wisdom or events that eclipse their limited mental capacity. “They distrust, it would seem, all shapes and thoughts but their own.” Loren Eiseley. Grand Canyon is a wonderfully real and symbolic enigma for man. In addition to its mind-boggling immensity, breathtaking beauty and infinite array of kaleidoscopic colors, it is the greatest page of biological history on planet Earth. There is nothing on Earth that it can be compared to. Simply put, it is too big for people to wrap their minds around. As for the mules; their behavior is heavily influenced by instinct, which does not allow for coping with moving water 50 feet below their hooves. Humans however, have been endowed with the gift of “free will,” which includes freedom of thought. However, this freedom also allows for egoism, arrogance and the foolish misassumption that man is smarter that the Creator that fashioned him. Watching the increasingly commercial emphasis during the Christmas Season, it is little wonder Albert Schweitzer described a kind of naïveté where people are unaware of the silent, spiritual battles within. Although blatant commercialism was far less intense during the time Henry Thoreau wrote “Walden,” (1850) it probably contributed to his efforts to strive to avoid reaching the end of his life and realize that he “blew it” and would not get a second chance. 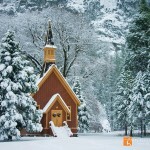 Advent can be a special time of the year when, along with preparing to celebrate the birth of Christ, people can look forward to the beginning of a new year of spiritual growth and renewal. As a wonderful example of this, after much contemplation, e.e. cummings resolved that he was a “Little Church,” and offered his opinion of what that meant. Perhaps Cummings is offering a common man’s interpretation of the bold proclamation that St. Paul made to the Corinthians over 2,000 years ago. Whether approaching the Christmas Story from an anthropological, historical or religious perspective, it is without a doubt the greatest human story ever told. It is childlike, welcoming and inclusive and offers every living human the challenge of accepting that they are living, breathing sacred events. “And when they saw the star, they rejoiced exceedingly with great joy. And they came into the house and saw the Child with Mary His mother; and they fell down and worshiped Him; and they presented to Him gifts of gold, and frankincense and myrrh.” Mattthew 2. The Bible (and other corroborating stories) indicates that the Magi returned to their respective homes, however, little has been written about how the event changed their lives. In fact, if they did create the original “Epiphany,” perhaps they discovered that spiritual awareness is the quintessential essence of being human. The great irony here is that they presented gifts to the Christ child but, in return, received the unspeakably perfect gift of the Holy Spirit and the realization that they too were made in the image of God. If so, there is little doubt that their journey home was filled with joy, merriment and laughter and they rejoiced and were exceedingly glad. Like so many of Muir’s power-packed-paragraphs, there is a cartload of wisdom in this one. In two simple declarative sentences, he is acknowledging, thanking and communing with God. Furthermore, he is tacitly suggesting that the words “evolution” and “creation” are one and the same. Darwin’s, “The Origin of Species,” was published in 1859. Muir was 21, but after 50 years of researching his works, I have not found one reference to Darwin. I suspect that he would have regarded the so-called “great debate” of Creation vs. the theory of evolution a superfluous waste of time. I find it intriguing that often, when John Muir lovers discover that he carried a pocket version of “The New Testament and Psalms” with him on his excursions, they become vexed, even defiant. I suspect, that in an effort to conform to “political correctness,” even USPS “interpretive naturalists” religiously ignore Muir’s depth of Christian spirituality (pun intended). Perhaps they do not know (or care) that, as a mechanical engineer, Muir regarded Yosemite as nothing less than one of God’s most “glorious” creations. 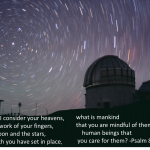 Unlike me ;o), Muir knew all of the Psalms by heart and I cannot help but think that he was the superb embodiment of Psalm 8. I know of no other naturalist who approached this level of perfection and therefore it is not surprising that many consider him the world’s greatest naturalist. 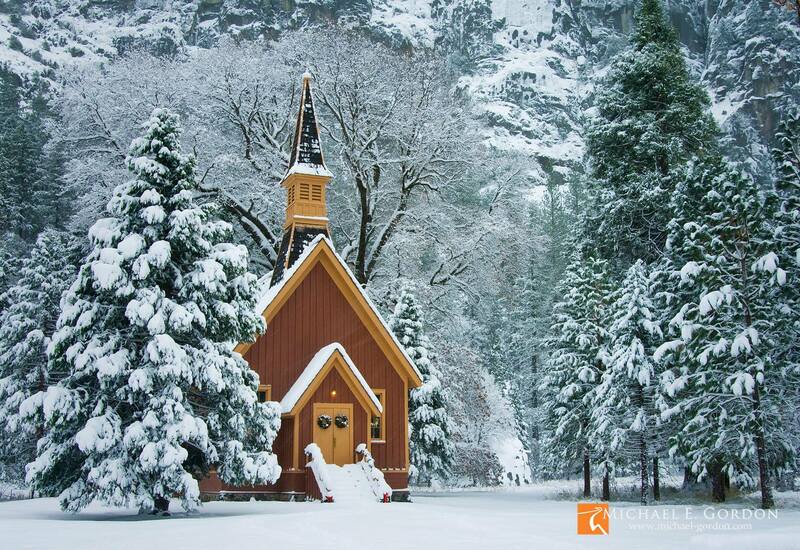 “For every house is built by someone, but the builder of all things is God.” Hebrews,” 3. It is illogical to assume that physical, mental and spiritual designs can be more complex than the artist/creator of the designs. In the early 17th century, natural “philosophers,” using the light microscope, began to see things that could not be seen with the naked eye. Englishman Robert Hooke observed pockets of air within cork, which he called “cells;” Dutch scientist Anton van Leeuwenhoek saw “wee cavorting beasties” in samples of pond water. 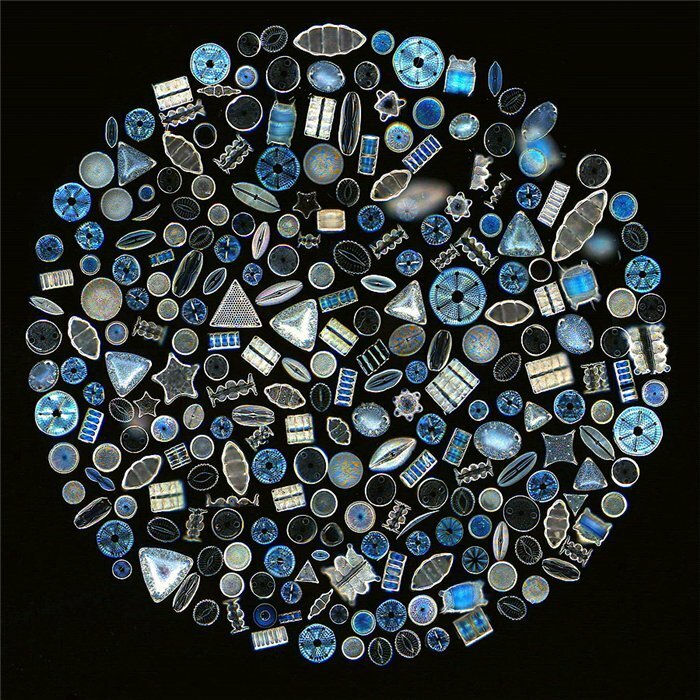 I strongly suspect that he also saw images like this array of desmids and diatoms in a drop of pond water. The origin of words has always fascinated me. In biology, many of the structures are self-explanatory; that is if you know Latin or Greek. The word “ecology” is a good example. The word is derived from the Greek words “oikos”= house and “logos,”= the study of: ergo ecology is the study of “houses.” Whoever coined the word fully comprehended the fact that every living thing lives in a “house” and the study of the interactions of all living “houses” emerged as ecology. John Muir was an “ecologist” before the term was coined. I suspect that if John Muir were asked, he would have agreed with Dickens. Muir carried a pocket version of the “New Testament and Psalms” with him nearly everywhere he traveled. Understandably, modern scientists, atheists and agnostics are not equipped to deal with a spiritual parallel universe, however, St. Paul’s concept was not only clear to Dickens, it was perfectly clear to John Muir who saw Yosemite Valley as a pure reflection of the temple that he was. As a retired, holistic-biology teacher, it is disheartening to see that, in the name of “political correctness,” our public schools and universities are being “spiritually sanitized” and millions of students are tacitly being taught that they are meaningless, soulless, random acts of chance and competition. I have returned from Yosemite and Grand Canyon with 100s of high school seniors, nearly all of whom saw visions marvels and wonders that they could not describe in words. Regardless of whether they saw themselves as “temples” or not, nearly all of them felt renewed and spiritually invigorated with an enhanced sense of hope, purpose and meaning. Buckminster Fuller is described in Wikipedia as a: “designer, inventor, engineer, mathematician, architect, cartographer, philosopher, poet, cosmogonist and visionary.” He wrote over 30 books and qualifies as a true renaissance thinker. Among his many inventions is the “geodesic dome,” which inspired scientists who discovered “Carbon 60” (hollow carbon molecules) to name them “Buckminsterfullerenes,” or “buckyballs,” for short. Two titles that could be added to Fuller are prophet and theologian. Fuller died 33 years ago, but his concept of “Design Science Revolution” has proven to be a prophetic foreshadowing of the “Intelligent Design” movement which is currently gaining acceptance in wider and wider circles. When I first heard about Fuller, I assumed that he was most likely another post-renaissance (“New Age”) practitioner of scientism who threw God out along with the pre-renaissance baptismal water. However, after reading his quote, “I seem to be a verb,” I became more curious and wanted to know more about him. This is a wonderfully interconnected triad that gifted naturalist Annie Dillard would regard as a “bright snarl.” Without a Creator there would be no “astronomy” or evolution. Without evolution the universe would be oxymoronically stuck in the first nanosecond, before time began, with no cosmos. 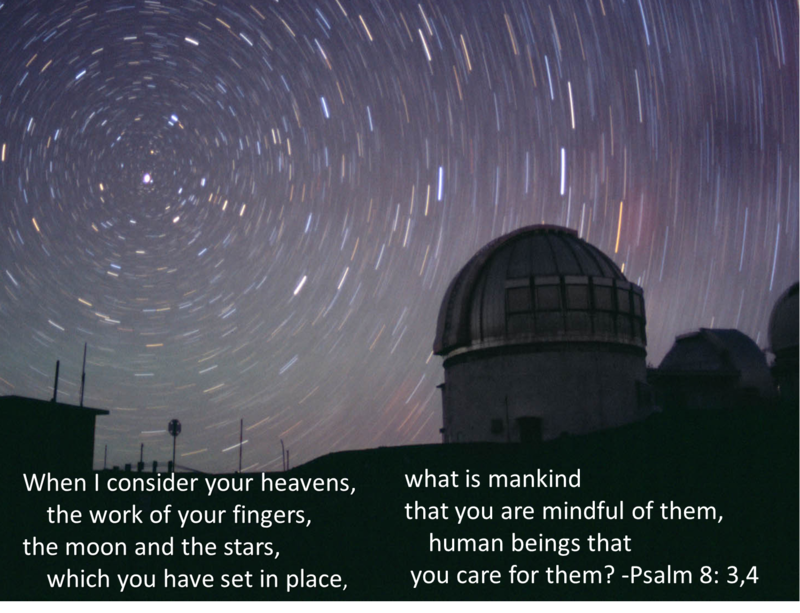 And with no cosmos, humans would not have evolved with the ability to contemplate the works of the Creator. Jastro was a self-described agnostic, yet he used candor and levity to describe the inadequacy of his own thought process. Shame on Richard Dawkins, and other science atheists who deny, obfuscate, pervert or “cherry pick” Darwin’s words. They have sabotaged Darwin’s message to make it conform their soulless world, and what a cold, heartless world it must be. If one of Dawkins’ minions decides to initiate a nuclear war, he could shrug it of as a “random” result of Darwinian “survival of the fittest.” It is staggering to know that an overwhelming number of high school, college/university biology teachers agree with Dawkins. Secular scientists are quick to point out that human beings and chimpanzees share 97% of the same DNA. While the fossil evidence suggests that humans and chimps evolved from a common ancestor over 5 million years ago, the obvious fact remains that chimps are chimps and humans evolved into the most extraordinary animals on the planet. Evidently that 3% increase led to the world’s greatest artists, poets, sages, musicians and, ironically, even scientists like Dawkins. Much of Darwin’s theory can be proven in the laboratory and in the field. For 1000s of years, people have used “selective breeding” and “mass selection” as a means to develop more productive and useful plants and animals. However, this does not mean that his theory is complete and flawless. After a discussion with Alfred Wallace, he acknowledged that he failed to explain human “gifts” such as mathematical, musical and artistic genius. These qualities are almost totally absent in chimpanzees. All of the genetic changes Darwin observed were minor and only rendered the offspring a small advantage of survival. Loren Eiseley quipped; the human brain grew “like a mushroom in the night.” This has equipped man with an indeterminate period of time of mental growth. There is no known biological cause for the rapid expansion of the two human cerebral hemispheres. Lamarck’s theory of use and disuse is of no value. 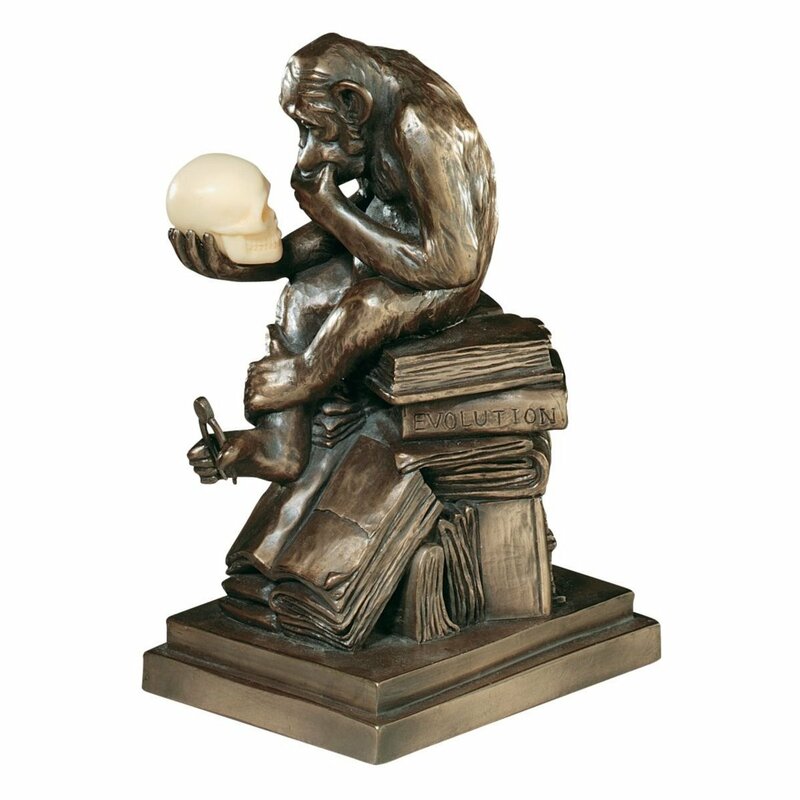 The Leakey family, Louis, Mary and Richard verified the increased cranial capacity of modern man, but they did not demonstrate the compelling factor. Stephen Jay Gould was a big fan of “ontogeny recapitulates phylogeny,” however he failed to show why or how the human embryo (in evolutionary time) suddenly gained the ability to generate a triple-sized brain. Gould was also a fan of “punctuated equilibrium” which may explain the “fits and spurts of evolution,” but he could not explain the evolution of the human brain. The latest wrinkle in the evolution battle is the emerging consideration of “Intelligent Design.” Although the theory suggests that evolution is not a random, chance-born process, it does not describe a “designated designer.” Therefore, “Intelligent Design” does not explain the emergence of the human brain. The fact of the matter is, by virtue of the laws of chance and probability, the human brain should never have evolved and so it is not surprising that its origin remains a mystery. Considering the universe, with its boggling time/space dimensions, life on Earth is supremely enigmatic. The Earth has been evolving for 4.5 billion years and yielded millions of plant and animal species before man arrived. Darwinian evolution does not need or explain “man.” If all these living forms survived by “instinct,” what need is there for consciousness, values, or free will? 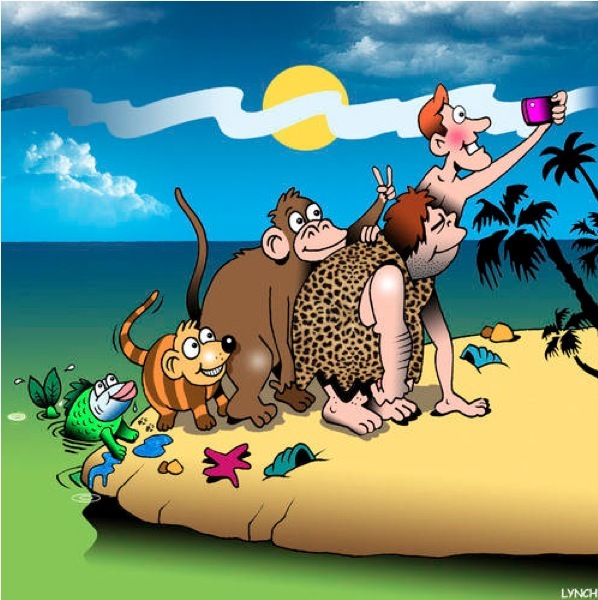 If “modern man” evolved 5 million years ago, we have lived on Earth 0.01% of its history and yet arrogant practitioners of Scientism claim that Mystery is irrelevant and that they have all the necessary answers. Meanwhile, there is a moral and ethical disease that is pandemic in our society and had afflicted scientists as well. It is called “situational ethics” and scientists use it frequently. Lacking any evidence for the origin of the universe, the origin of life, the origin of the first cell or the tripling of the human brain, secular scientists either ignore or obfuscate the issues or make up their own ethics and pander them as truth.